I’m pleased to say I’m back online with a new PC, and everything is working just about as it was before (perhaps slightly better!). Apologies for the lack of posts last week, but I will try to make up for it now and in the coming week with a few extra posts. It’s time for ‘Japan by Prefecture‘ again! This is the series that aims to provide the highlights of each prefecture of Japan, along with my personal favourites and suggestions from readers. 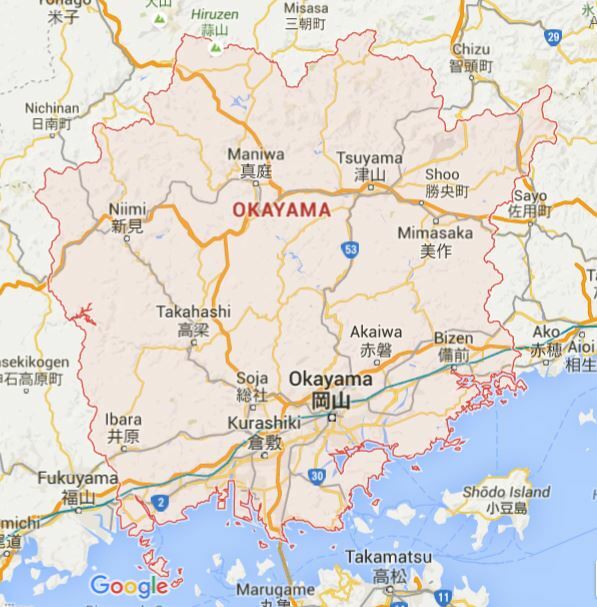 This week, we’re looking at Okayama (岡山県). Okayama Prefecture is part of the Chugoku Region (中国地方) and the capital is Okayama (岡山市). I haven’t been to Okayama Prefecture yet (although I have been through on the bullet train), but I’m planning to visit Okayama later this year and I’m really looking forward to it. Thanks to Japan Australia, Rosco, Paul, and Alex for contributing to this week’s post with lots of great ideas! Okayama Prefecture, which is located along the Seto Inland Sea (瀬戸内海), is probably most famous for being the home of one of Japan’s top three gardens, Korakuen (後楽園). Along with Kenrokuen (兼六園) in Kanazawa, Ishikawa Prefecture, and Kairakuen (偕楽園) in Mito, Ibaraki Prefecture, Korakuen in Okayama is considered one of Japan’s most beautiful landscape gardens. 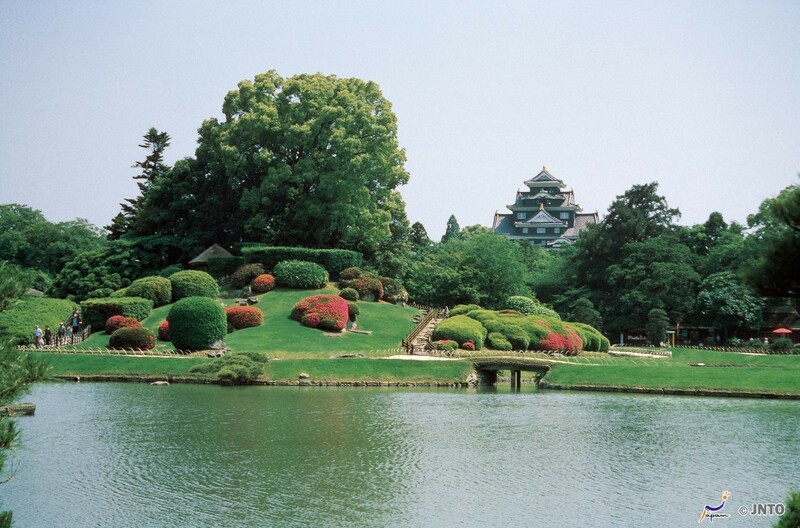 The garden is right beside Okayama Castle, and uses the castle as ‘borrowed scenery’. Korakuen was constructed in 1687 and in 1884 it became property of Okayama Prefecture and was opened to the public. 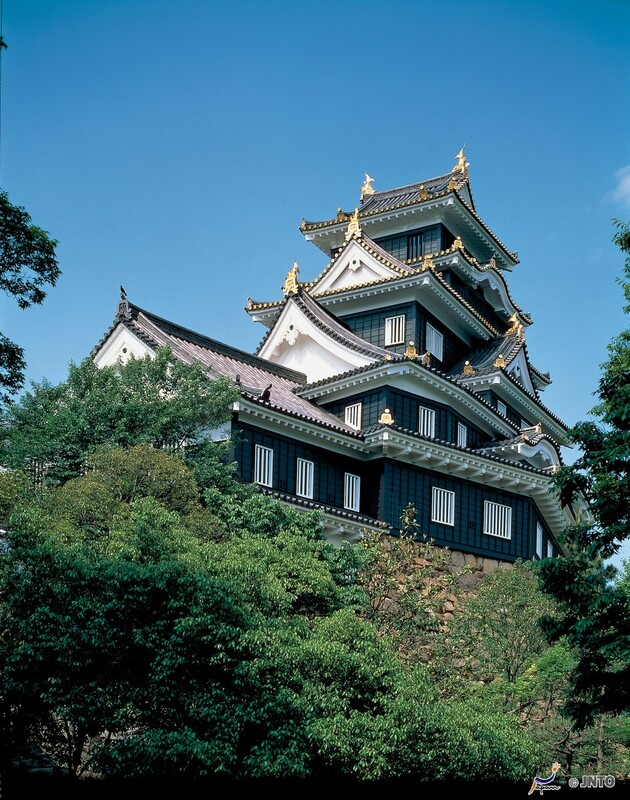 Okayama Castle (岡山城), known as the ‘crow castle’ due to its black exterior, is probably the next most famous attraction in Okayama Prefecture after Korakuen. The castle, first built in 1597, is a reconstruction, built in 1966. Despite being a reconstruction it’s still pretty spectacular to look at. One of the castle’s buildings, the Tsukimi Yagura (“moon viewing turret”), escaped destruction during World War 2 and still stands today, dating back to 1620. A place I’m really looking forward to visiting in Okayama Prefecture is Kurashiki (倉敷). 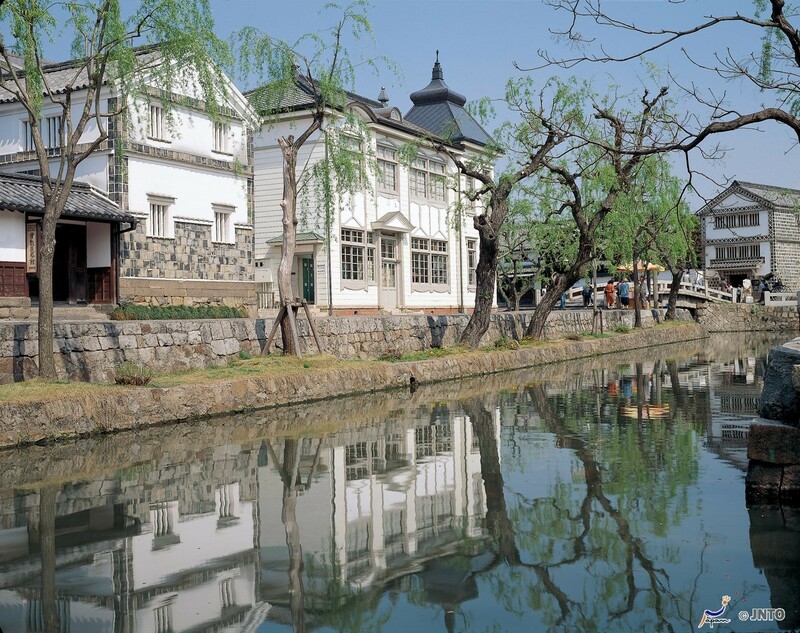 Kurashiki has a preserved canal area that dates back to the Edo Period (1603 – 1867), and it looks really pretty. Kurashiki used to serve as an important rice distribution centre, and the name ‘Kurashiki’ can be roughly translated as ‘town of storehouses’. These days a lot of the former rice storehouses have been converted into museums, boutiques and cafes. One of the most famous museums in Kurashiki is the Ohara Museum of Art (大原美術館), which exhibits a large collection of work by Western artists. The museum was built in 1930, specifically as the first museum of Western art in Japan. As well as Western art, there is a building at the museum which is dedicated to the work of Kojima Torajiro (1881 – 1929). Kojima Torajiro was a Japanese artist who painted in the Western style, and the Ohara Museum was built to commemorate Kojima the year after his death. 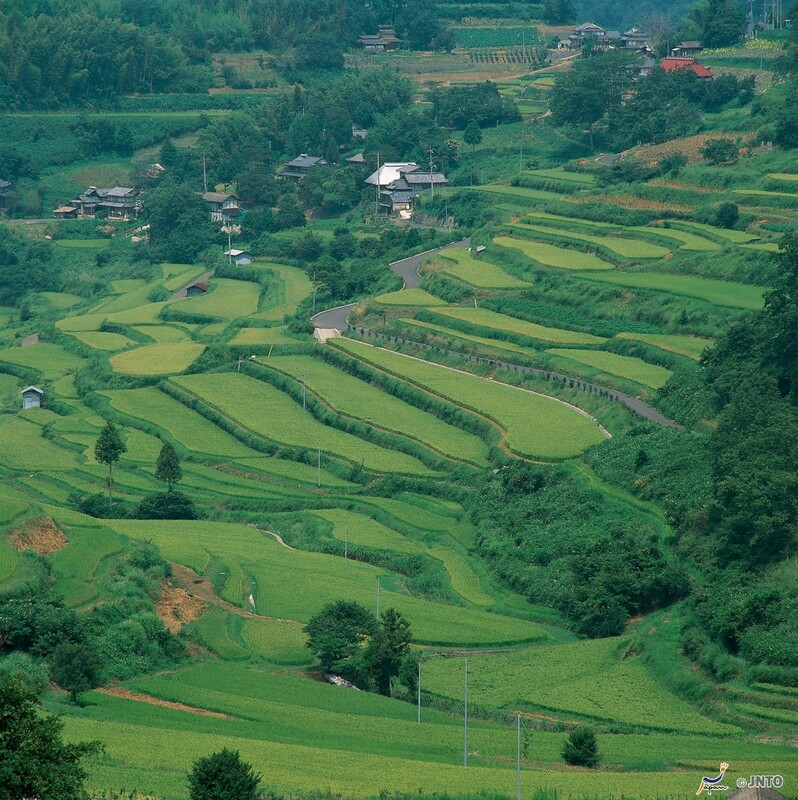 If you’d prefer to get out into the countryside, the Kibi Plain (吉備路) in Okayama Prefecture would be just the place to visit. The Kibi Plain is a rural flatland just outside of central Okayama City that is covered in sprawling fields and dotted with shrines, temples and small clusters of farmhouses. There is a cycling trail which is designed to help visitors appreciate the landscape and also visit some of the local historical sights, such as Kibitsuhiko shrine and Kibitsu shrine. Kibi Plain is so named because, during the 4th century, it was the centre of the Kibi Kingdom (吉備国). The Kingdom of Kibi covered much of what is now known as Okayama Prefecture, and was ruled by an ancient clan whose power rivalled that of the dominant Yamato Clan in Yamato Province (大和国), which is now Nara Prefecture. Another area of Okayama Prefecture worth checking out, especially for history buffs, is Takahashi (高梁), often referred to as Bitchu-Takahashi after the surrounding region to distinguish it from other places with the same name. Takahashi is best known for its castle, Matsuyama Castle (松山城) or Bitchu-Matsuyama Castle (備中松山城). This castle is the oldest surviving castle in Japan! At the base of the mountains which are home to the castle one can find an old preserved town which features samurai residences and merchant houses that date back to the Edo Period. This wouldn’t be a post about Okayama Prefecture if I didn’t mention Bizen (備前市). 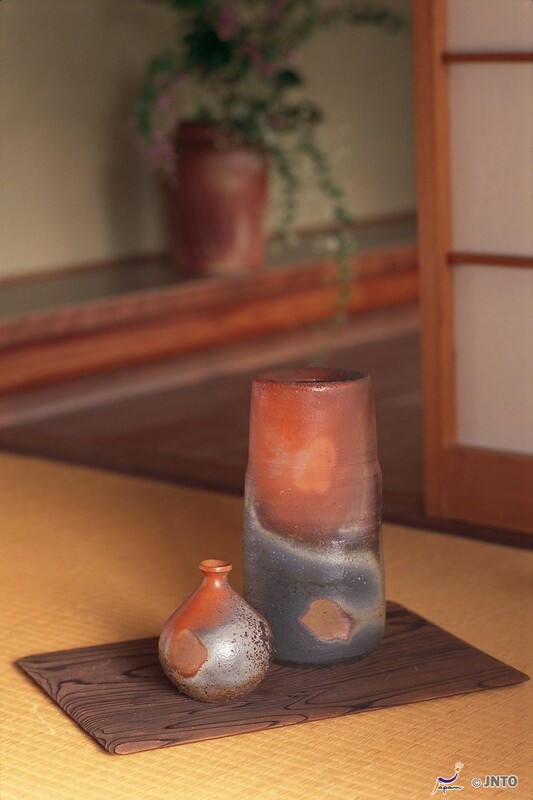 Bizen is a city which is famous for Bizen-yaki (備前焼) or Bizen ware, which is a type of pottery. Bizen pottery is typically reddish-brown and doesn’t have a glaze, and it usually features distinctive markings resulting from wood-burning kiln firing. Bizen-yaki is more than 1,000 years old, and is the oldest amongst the six ancient pottery styles of Japan. Bizen is actually the old name for Okayama. 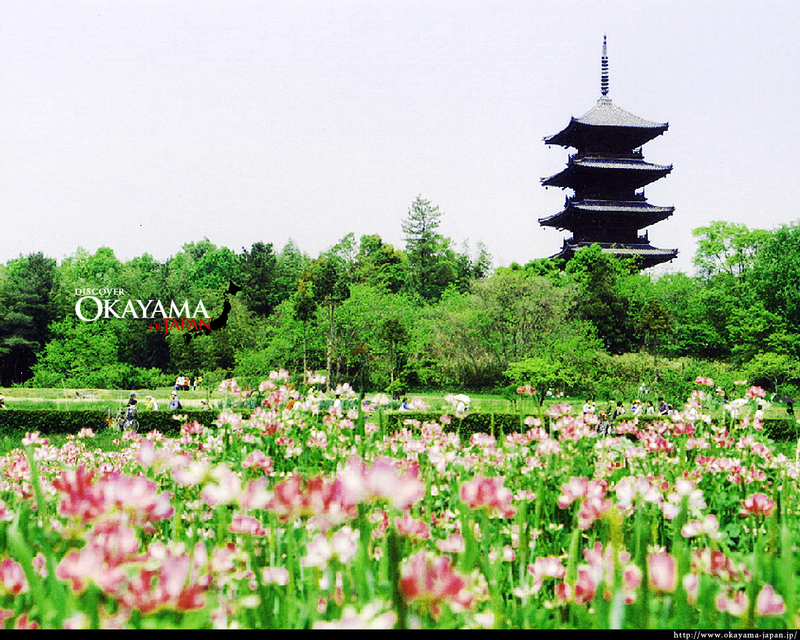 Okayama looks like a really interesting prefecture, and I’m really looking forward to visiting here later this year! Actually, writing this, I can’t help thinking about how my life could have been a little different had I made a different decision whilst I was living in Japan. After two years in Nagoya I decided I wanted to live somewhere else, and asked if there were any positions available in Hiroshima as I liked the city. I was told there weren’t, but that there might be in Okayama. I had never heard of it and wasn’t sure it would be worth moving to, so I ended up moving to Hamamatsu in Shizuoka Prefecture instead. I don’t regret that as I had a great time there and made lots of wonderful friends, but now I know more about Okayama I do wish I had given it a go! Okayama Prefecture has a few interesting souvenirs (or ‘omiyage’ / おみやげ). 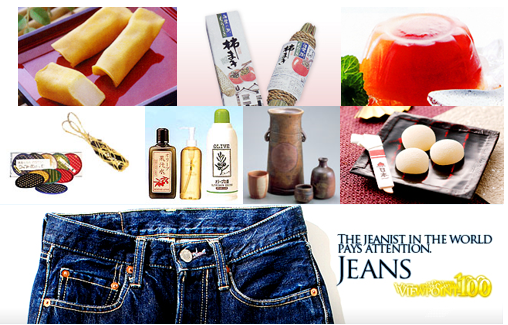 Aside from the obvious Bizen pottery, did you know that Okayama Prefecture is actually the birthplace of Japanese jeans?! It’s also well-known for products made of olives and rush grass. There are some great sweets and food souvenirs from Okayama Prefecture too, including Kibi Dango (a mochi-like sweet), Chofu (a sweet in the shape of a rolled cloth) and tomato jelly (made using a whole Momotaro tomato). Next week I will be writing about Hiroshima (広島県). Have you been there? What’s good to eat there and what omiyage should I buy? What are the best sightseeing spots or hidden gems? Please do share your thoughts below, and join me next week for Japan by Prefecture! I guess the thing that Hiroshima is most famous for is Itsukushima shrine on Miyajima. It constantly makes the list when it comes to the most beautiful places in Japan, and having seen it several times now, I can see why. Miyajima as a whole shouldn’t be missed though – there are lots of other places on the island that I think are just as awesome; beautiful walking trails with tons of ‘wild’ deer, a gorgeous hike (or cablecar if you don’t feel like walking) up Mount Misen, and the Daisho-in temple at the base of the mountain, which is not only gorgeous but also one of the most important temples of Shingon Buddhism. If you go to Kurashiki (and I recommend it) make it a weekend when the stereet vendors have their ares set up along the canal in the charming Bikan District. The image of the lotus flowers shows Kokubunji which has extensive grounds to the East including an open tomb near the lake with many thatched-roof buildings appear. In the interest of balance, parts of Okayama City appear dirty, particularly along the sea front. There are better places for air quality too. Thus, I suspect your appointment to Hamamatsu may have been a more favourable option. Thanks for the tips! Unfortunately the only day I can go to Kurashiki will be a weekday, and it will just be a flying visit, but hopefully I can go back at a more leisurely pace sometime. Hiroshima Peace Memorial Park – a must see for everyone even if its just once in your life. Hiroshima Castle – also known as the Carp Castle, it contains an excellent museum. Miyajima – The Island of Shrines, features the cultural icon of Itsukushima jinja, and a large torii gate that rises out of the sea. Shukkeien Garden – A beautiful landscape garden located close to Hiroshima Castle. Beautiful in the spring with cherry blossoms and azaleas. The photo of Bitchu-Matsuyama castle looks like it could have come from a Ghibli film. I’m planning on visiting it on my trip in a few weeks so hopefully I won’t be disappointed. If you like Okonomiyaki, then I would definitely recommend visiting Okonomi-mura in Hiroshima city shopping area. This is a 3 or 4 storey building with 20 or so Okonomiyaki restaurants together. Choosing which one to eat at is almost impossible. Thanks for the Hiroshima tips! @Paul et.al, Bitchu-Matsuyama Castle is a small castle but worth the visit. However, it won’t look like it does it the blog photo. According to a photographer friend, these PR photos of the castle are taken from an undisclosed location on a neighboring mountain (of course), and they are always taken just as dawn breaks when there is still fog to be seen. The photographers hike up during the night and wait for dawn. Most of us regular people hike up during the mid-morning hours or in afternoon, when the fog is gone. If you’re in the area and want to see another great castle, check out Kinojo Castle (aka, “Demon’s Castle”) in Soja City. You’ll need to take a bus or taxi to the top. Dating from the 7th century, this is the site of one of the oldest castle remains in the country. The structure there is a reproduction based on historical documents and ruins. The style is Korean and is very different than anything you will have seen before. 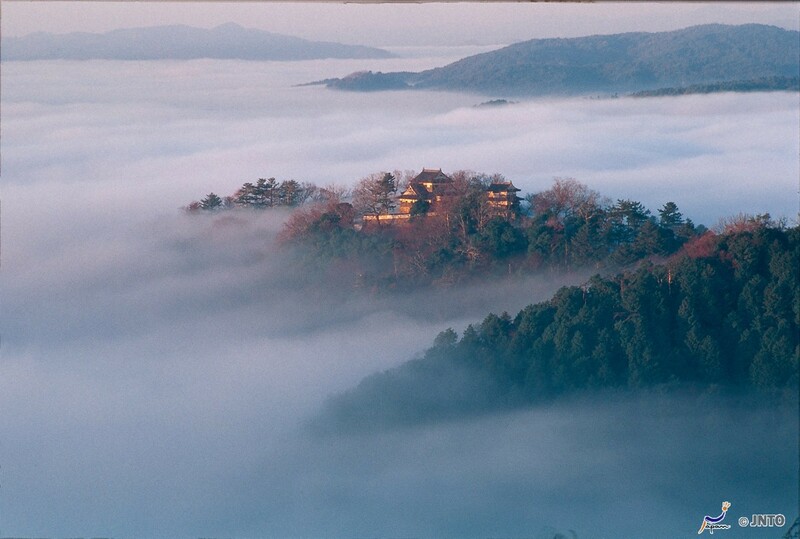 The view of the Kibi Plain from the castle of the surrounding area is also fantastic! Thanks Andrea – I definitely won’t be hiking up a mountain to be there by dawn! Also thanks for the tip re Kinojo Castle – I’ve never heard of it but, having done a search, it looks really interesting. Very different from all other Japanese castles as you say. I will have to try to visit it.